BEIJING -- North Korea is expecting another visit by former NBA bad boy Dennis Rodman. He's made several visits to the country, but has been roundly criticized for insensitive comments and for regaling leader Kim Jong Un with "Happy Birthday" in 2014. On the same trip, he suggested an American missionary was at fault for his own imprisonment in North Korea, remarks for which he later apologized. 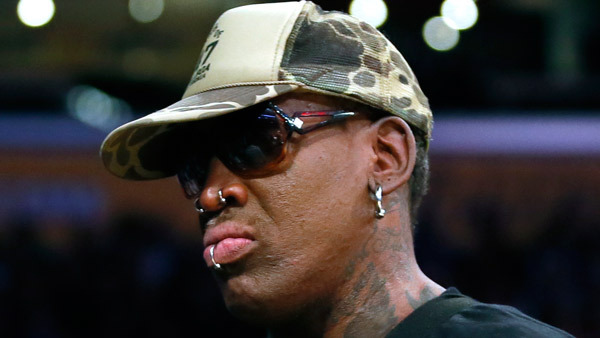 It would be Rodman's first visit to the country since President Donald Trump took office.